This time of year, something magical happens to the maple trees. 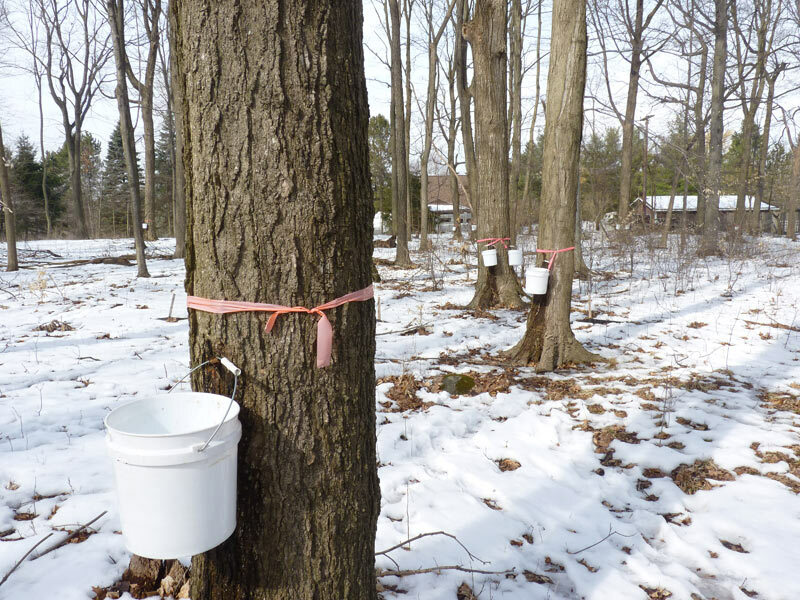 When the temperatures drop below freezing at night and then goes above freezing during the day, the maple sap runs. In South-East Michigan, this usually occurs in late February and throughout March. Maple sap, of course, becomes Maple syrup or Maple sugar depending on how far down you want to boil it. A group of us, including some grove members, are tapping trees and learning about this process this year. Maple is a sacred tree, and the Native Americans were the first to tap it and discover its incredible sap. 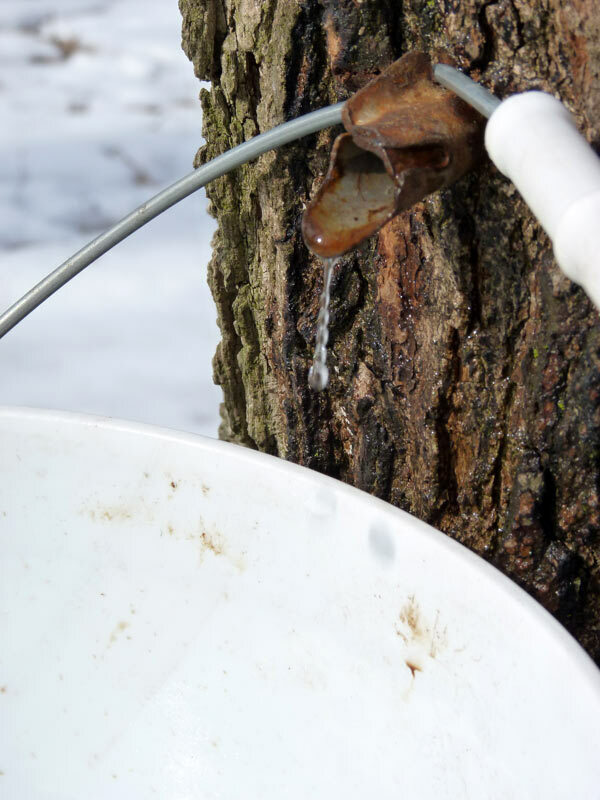 The sap, and the syrup that results from the boiling of sap, is the lifeblood of the maple tree. In taking part of that lifeblood into ourselves, we receive the blessing of the maple tree. Partaking of such a sacred thing should be done with reverence and respect (and thanking the trees for their offering, of course!) The process of making syrup also has links to alchemy, and truly, I see it as one of joining opposite elements–we have the cold of the sap and the wet of the snow, the application of heat and flame, and the required persistence and diligence–and the resulting amazing syrup, which tastes like liquid gold and stores for many months! 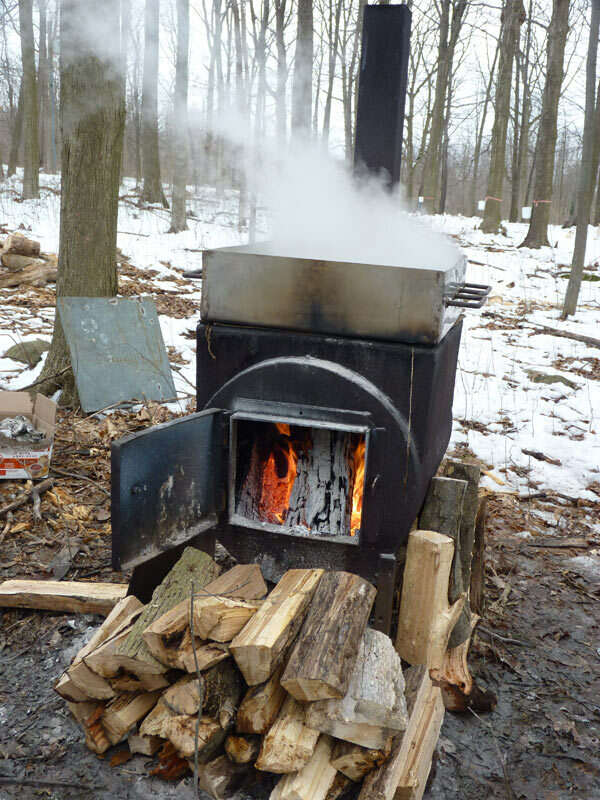 The process of making Maple syrup is not difficult, but it is very time consuming. I’m going to walk through the process step by step. Ours is a very small-scale, home operation, not a large commercial operation. It can be done with a minimum of equipment and an investment of time. 1. Identify maple trees of an appropriate variety and age. Sugar maples work best for tapping (hence the name) but all sorts of maples can be tapped (including box elder, red maple, etc.). We’ve tapped all sugar maples for our syrup making, as they have the highest sugar content (and high sugar content equals less work). The first step in our process is to tie a bright-colored strip around each tree so that we can clearly identify the trees. You can do this work at any time in the year, but its a lot harder in the winter if you aren’t that familiar with tree identification. 2. Tap your trees when the time is right. 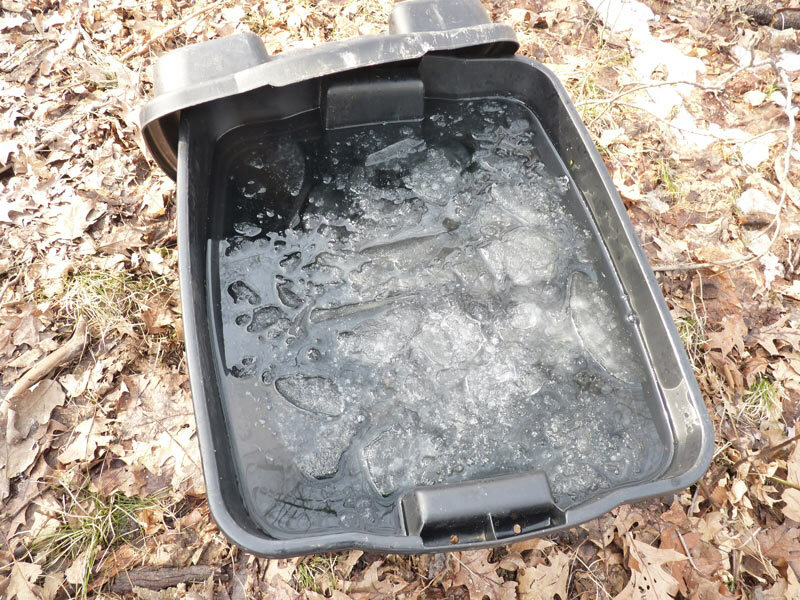 When the weather will be above freezing during the day and below freezing at night, go ahead and tap your trees. Tree taps also usually have a little bucket holder so you can place your buckets. 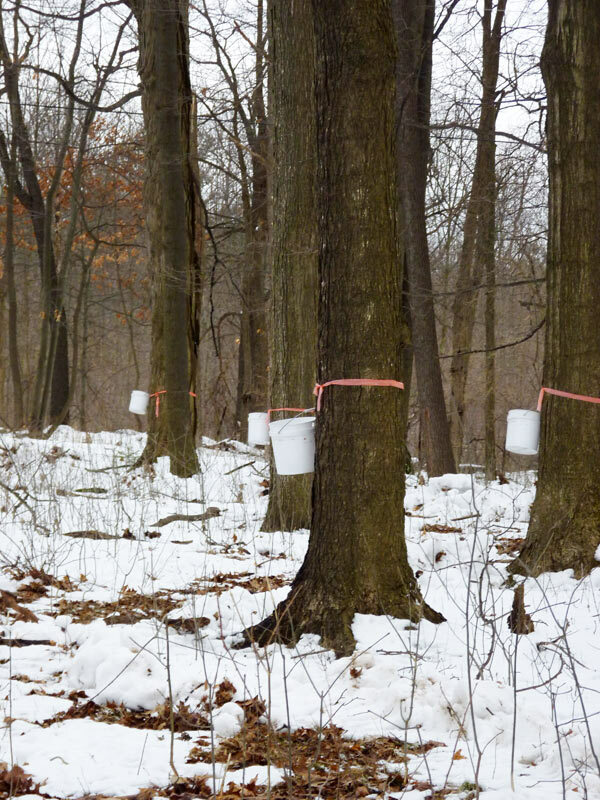 We tapped about 50 trees, which is quite a lot, but there were about 8 of us and we all wanted lots of maple syrup. 3. Collect sap. 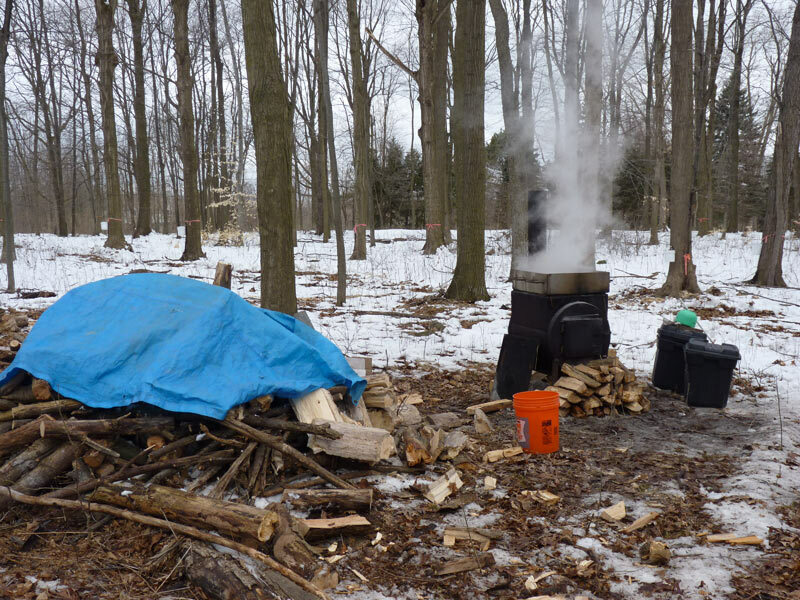 We collected sap each day in the evenings until we had about 40 gallons (and 40 gallons will make 1 gallon of maple syrup). This evening collection took us three days when we were starting out because the sap ran slow, but quickly, we were collecting more sap than we could boil in a day! Depending on the size of your buckets, it may actually be that the sap is flowing so well that you need to empty them twice a day. If the sun is shining brightly and its warm, the sap will flow quickly! Since our trees are spread across about a 4 acre area, we used the 5 gallon buckets and the larger bins to transport sap to our boiling area. We find that many hands make light work of this process. I should also add here that the sap, in its unaltered form, is an amazing beverage. We fill our water bottles up with it and drink it and its so good. Its just slightly sweet at this stage. If you want it sweeter, you can boil it for an hour or so, and then it takes on a very mapley quality but still is not too sweet. We’ll be using some of this for our grove’s upcoming Spring Equinox celebration! 4. 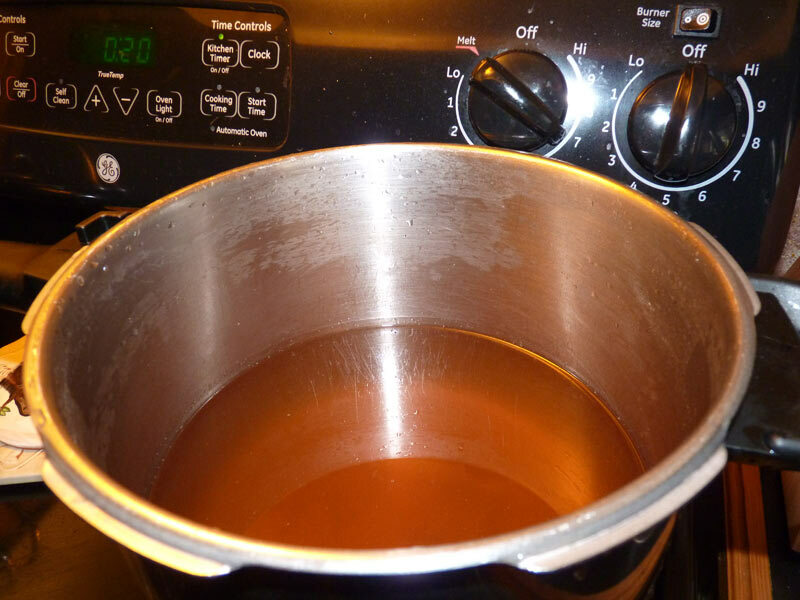 Boil off the excess water. Our setup for evaporating off the excess water involves a 24″ x 24″ evaporator pan (which was custom made by a neighbor) and an old stove that has the lid cut out of it. The pan, then, sits directly on the heat from the fire. We lay the pan right on the stove, stoke the fires, and boil the sap down all day. 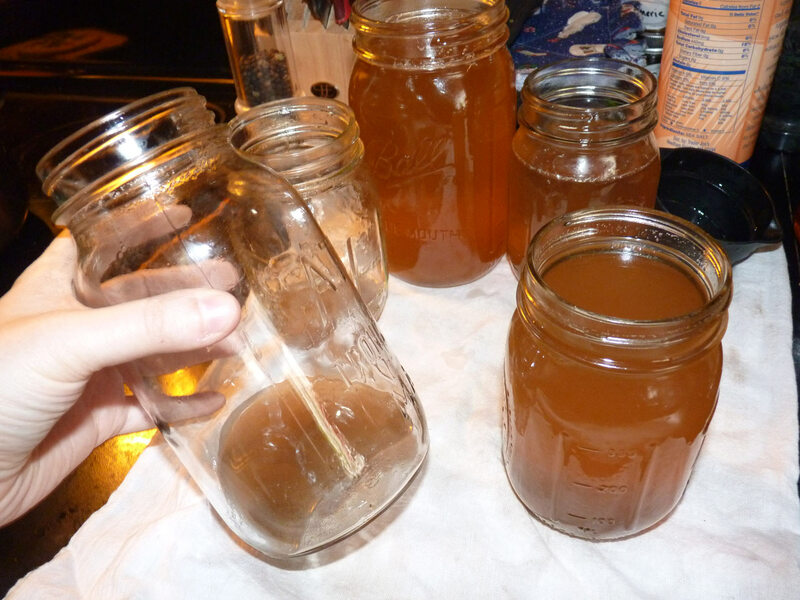 As the sap boils down, we add more and keep track of the evaporation process. This allows us to have a sense of how many gallons of sap we’ve added and how much resulting syrup we will get. We found that anything we can do to maintain a good boil is worth doing. You can see in the photo below that we are also using the stove to heat up/dry out our wood which keeps things hotter. After a few days, we got smart and brought out a second little stove and pre-heated our sap on that stove before adding it to the evaporating pan so that the sap wouldn’t cool when we added more. This probably made us 20% more efficient. As a complete aside, we also built ourselves a temporary rocket stove for heating up food :). Boiling sap to make syrup! 6. Enjoy your syrup! The last step, of course, is to eat it. We’ve found that our syrup, using hardwoods to boil it down outside, takes on a different quality than the syrups you purchase from larger operations. Our syrup has a woody/smoky flavor to it that is so incredibly good, and so incredibly hard to describe. I hope you’ve enjoyed seeing into this process–its so much fun, and despite the long hours and heavy lifting, the results are 100% worth it! Commune with the trees, eat some pancakes and maple syrup, and enjoy the Spring Equinox that is almost upon us! Nice article! Good summary of the process. I headed up the sap collecting and boiling process for a few years at a previous job at a nature center. It is a blast and very rewarding. Though time consuming, as you mentioned (but its kind of hard to argue with a job that gets one outside so much in the early spring). Another way to pre-warm the sap, is to put it in a narrow pan that lays across the top of the boiler. It gets warmed up, without blocking too much of the steam rising off the boiling sap. Dan – that’s a great approach. We were using a gas burner for this (less sustainable) and then a rocket stove (more sustainable). And yeah, its so wonderful to be outside all day while the syrup is cooking! Great post. Thank you! I like your mention that such things are so much nicer done in community, rather than as an exercise in lone survivalism! 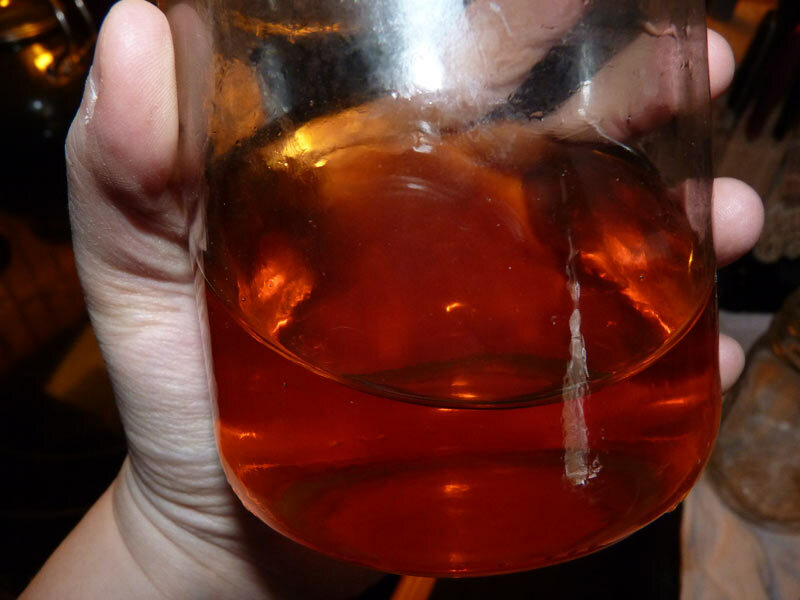 Your description of the delicious sweet raw sap had me wondering whether one could brew ale or make wine from it. Has anyone tried this? Is it too late this year to tap a tree? I grew up near such a wonderful place. Tasting the maple water by dipping a finger in the bucket is part of my childhood memories. Great post! Yummy! For us it will be only in March. Still cold here… Big storm right now. We’re suppose to get 20 inches of snow!!!! I think that you just got one too, right?